A top New York City official announced an audit of New York City's Board of Elections Tuesday, just as hundreds of voters reported problems at polling locations and at least one instance of possible voter fraud. New York City comptroller Scott Stringer said Tuesday his office would look into management and policies at the city's elections board after it was revealed this week that more than 125,000 Democratic voters were purged from the rolls in Brooklyn ahead of Tuesday's primaries and special elections. "The people of New York City have lost confidence that the Board of Elections can effectively administer elections and we intend to find out why the BOE is so consistently disorganized, chaotic and inefficient," Stringer said in a statement. Mayor Bill de Blasio said he supported the audit, and pointed to issues Tuesday — especially in Brooklyn — as evidence for the need of reform. He called on the Board of Elections to restore the voters who were removed from the rolls. "It has been reported to us from voters and voting rights monitors that the voting lists in Brooklyn contain numerous errors, including the purging of entire buildings and blocks of voters from the voting lists," de Blasio said. Meanwhile, the state Attorney General's office said its voter hotline received the most calls in its history Tuesday. The hotline received 562 calls and about 140 emails from voters as of 5 p.m. The most common complaints were from voters who were told they weren't registered to vote or that they couldn't participate in a party's presidential primaries. Other complaints ranged from lack of privacy, unclear instructions and accessibility issues. Among the most serious issues was a report of alleged voter fraud. NBC 4 New York received a tip from a voter who said that poll workers were attempting to "trick" Democrats into picking for Hillary Clinton over Vermont Sen. Bernie Sanders. City Board of Elections Director Mike Ryan told NBC 4 New York that it is investigating the claim. "All issues related to the voting process gives us concern," he said. Other voters reported everything from confusion to long lines spurred by everything from broken polling machines to locked-up voter rolls. At Bishop Ford High School in Brooklyn's Windsor Terrace neighborhood, voters were asked to vote by affidavit or come back later in the day because pollsters were unable to find a book with voters' names and party affiliations. The book was eventually found, but several voters had to cast ballots via affidavit. One woman said she and her husband were frustrated to find that they couldn't cast ballots normally. 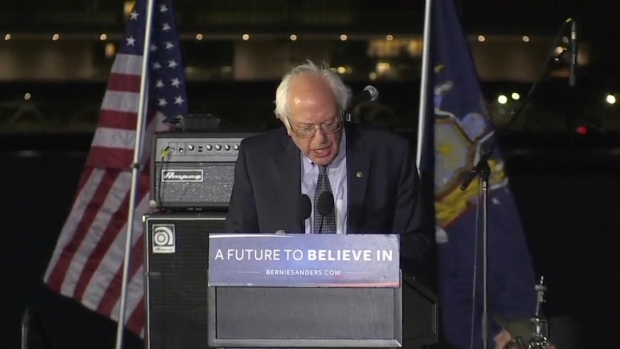 This this was our first time voting in New York so it's a little frustrating," the woman said. "I just filled out an affidavit but it won't be counted for some time I guess." Voters at other precincts reported similar problems. Pete Harris took to Twitter after his name didn't show up in the rolls at his Upper West Side, even though he registered with his party in 2014. 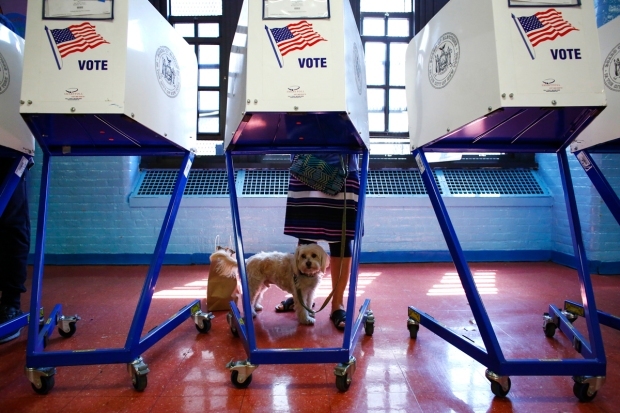 New York primary voters head to the polls in New York's primary election. "My name wasn't on the list and I had to vote affidavit. Was told 'this is happening to tons of people today," he tweeted. In Brownsville, Brooklyn, another voter tweeted that she got to her precinct location 10 minutes before polls open but couldn't cast a ballot for more than two hours because workers didn't have keys to the machines or ballots. She eventually voted, but claimed that only Republicans were able to cast ballots for part of the morning.